If you can shoot, you can clean. Maybe some of you have friends or husbands that are more than willing to clean your gun for you. My advice is “clean your own gun”. Cleaning your own gun familiarizes you with all the parts, and the operation of the gun. It will help build your confidence when handling and firing your gun. If something is not working properly, and eventually this will happen, you will be much better prepared to deal with it if you have working knowledge of your firearm. There are many opinions as to how often you should clean a firearm. My recommendation is that you clean your gun every time you use it. Again, this will help familiarize you with the inner working parts and keep an eye on anything that looks unusual due to excessive wear and tear. The fouling can and will affect the reliability of your firearm. Semi-automatics are particularly susceptible to feeding and ejection problems if not kept reasonably clean. Defensive handguns should be cleaned after every trip to the range, not matter how many rounds you fired. 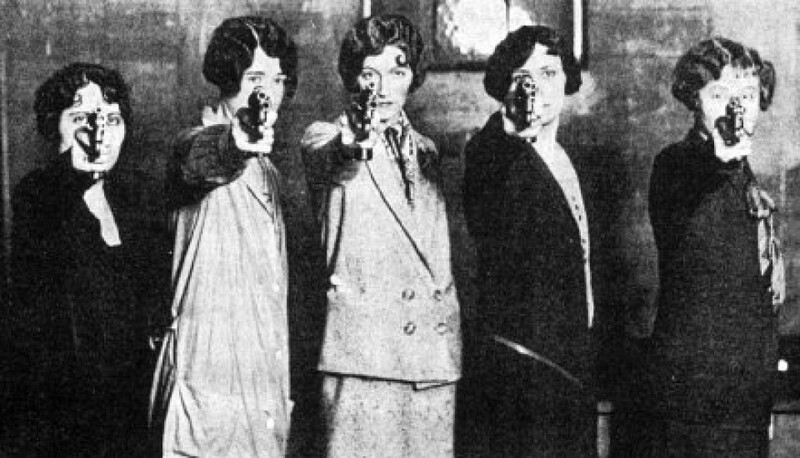 Your life may depend on the proper function of your gun. Refer to your owner’s manual for cleaning of your specific firearm. 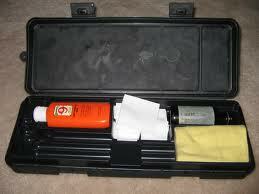 Universal gun cleaning kits can be purchased at most Sporting Goods Stores or Gun Shops for around $10-$15 dollars. The kit will contain most of what you need, but you may want to pick up a few extra accessories just to be sure you have everything covered. Most important, be sure you have a bore brush that is the proper size for your gun: 9mm, 45 caliber, 22LR, etc. They are not interchangeable. I would recommend a bronze brush. Bronze seems to do a better job of getting the bore clean, without risk of damage. Plastic is ok, but doesn’t seem to work quite as well. I prefer to stay away from stainless steel due to possibility of damage to the bore. Jags are also handy to have and come in sizes that match the caliber of your firearm. The jag looks similar to a mini-plunger, is usually made of brass and has a small spear tip on the end to hold the patch in place. The patched jag fits tightly in the bore as you press it through to remove any residue after cleaning with the bore brush. The patches supplied with your kit will quickly be depleted. You can purchase more, or just use old cotton t-shirts cut into pieces. As time goes by, you will probably find that you have a preference for a specific cleaner, brush or other accessory. My home cleaning kit includes paper shop towels, an old toothbrush, Q-tips, cotton rags, assorted brushes, pipe cleaners, assorted cleaning liquids, oils, bore light, and plastic and metal dental picks. This is in addition to rods with comfortable handles, and pistol specific tools. I also like to have a good desk light set up on my bench. The surface you use for cleaning your firearm should be well protected from the solvents and oils. Safety glasses and rubber gloves should always be worn when cleaning guns. Solvents can damage some prescription lenses. The type of rubber glove you chose is personal preference. Nitrile may hold up better, latex may be easier to work with. Prices vary according to material used. Be sure to dispose of the used rags and gloves in a zip lock or other plastic bag before placing in the trash. Solvents and solvent soaked rags are flammable. I prefer to dispose of used rags rather than washing and re-using. If you chose to wash used solvent rags, be sure to hand wash and air dry to avoid damage to equipment and fire hazard.